Michael Schumacher‘s family issued a rare public statement around his medical condition on the eve of his 50th birthday, stating that they are “doing everything humanly possible” to help the seven-time Formula One world champion. Schumacher turns 50 on January 3, but the most decorated star in F1 history has not been seen in public since he fell and hit his head in a skiing accident on the French Alps five years ago. The wall of secrecy, enforced at the request of his wife Corinna, was established to protect one of the biggest names in modern sporting times. But the sporadic offerings about a driver who won a record seven world championships, 91 grands prix, and commanded a following of millions around the world, have led some to ponder whether more details should be made public. The family seemingly obliged by releasing a statement on January 2, although any medical information was again kept from the public. “You can be sure that he is in the very best of hands and that we are doing everything humanly possible to help him,” it read. “Please understand if we are following Michael’s wishes and keeping such a sensitive subject as health, as it has always been, in privacy. 43 years old Michael Schumacher took the pole position in Monaco 2012. He knew he would never start on pole due to grid penalty, Still, he gave his 100% and took the pole position. Ross Brawn, one of only a handful of people to have visited the stricken driver, believes Schumacher’s family are right to conceal his medical condition. Yet Brawn, who helped mastermind Schumacher’s success at Benetton and Ferrari, and has visited the former champion in Switzerland, does not concur. “I am constantly in touch with Corinna, and I totally agree with their decision,” he told Press Association Sport. “Michael has always been a very private person and that’s been a guiding principle in his career, his life and his family always agreed with that choice. On Thursday, Ferrari will celebrate the German’s birthday by launching a special exhibition at their Maranello headquarters in northern Italy. The display, which runs in association with the Keep Fighting Foundation – of which Brawn and FIA president Jean Todt are both trustees – will honour Schumacher’s remarkable success with the Italian team. 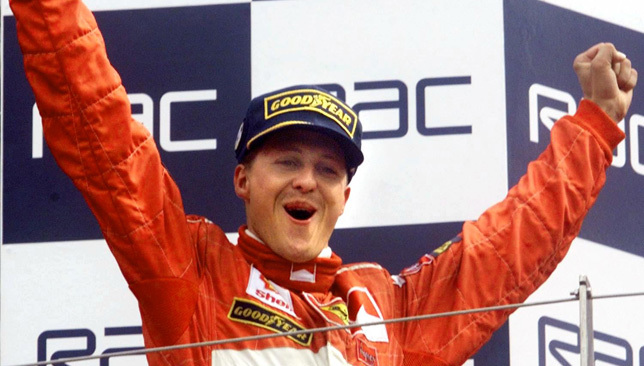 Schumacher added to the two titles he won at Benetton with five triumphs for the Prancing Horse at the turn of the century, posting a series of records many viewed as untouchable. But after surpassing Schumacher’s pole position tally in 2017, Lewis Hamilton is now only 18 wins and two championships away. “Lewis is certainly capable of matching and surpassing Michael’s other records,” added Brawn, now acting as the head of motorsport for F1. “There’s no doubt that Lewis and Michael are amazingly talented. In fact, it’s their natural talent that unites them. The way in which they achieved their wins is where they differ. Remarkably, the Schumacher name could be back on the grid in 2020, with Ferrari and Mercedes both keeping tabs on Mick Schumacher. Schumacher Jnr, the 19-year-old son of Michael, will compete in Formula Two this year after winning the F3 title in 2018. “Carrying that name weighs heavily but Mick manages it with great care and intelligence,” said Brawn. Alexander Albon. Image: Toro Rosso/Twitter. 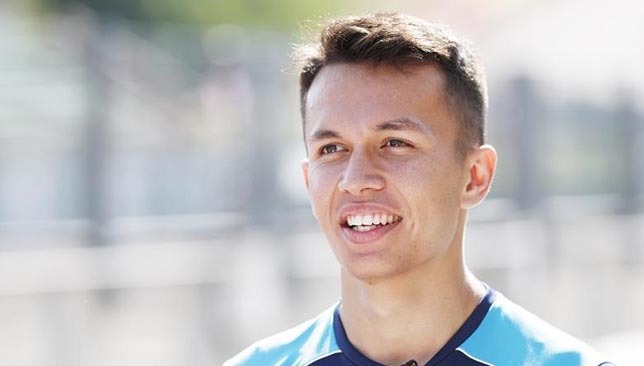 Alexander Albon is to drive for Toro Rosso alongside Daniil Kvyat in the 2019 Formula One season. The 22-year-old British-born driver has been paired with the Russian in Red Bull’s feeder team after an impressive season in F2. Albon finished third in the F1 feeder championship despite being involved in a start-line collision at the final round in Abu Dhabi. Albon, who won four races in F2 this year, began his career in karts and joined the Red Bull programme in 2012 before being released at the end of the season. In 2016 he finished second in the GP3 series before stepping up to F2. Toro Rosso team principal Franz Tost said: “Alexander had an impressive Formula Two season in 2018. The way he is able to overtake many of his rivals in the races shows that he is ready and matured to race in Formula One. Albon said: “It’s such an amazing feeling to know that I’m in Formula 1 next year. Throughout my single-seater career, I went through a few ups and downs. I was dropped by Red Bull in 2012, so from then I knew my road to Formula One was going to be a lot harder. 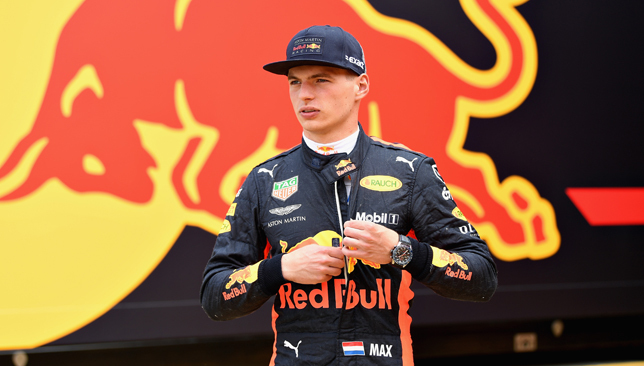 Driving past Casino Square having finished ninth in the Monaco Grand Prix, a disappointed Max Verstappen was under no illusions on what the next stage of his season would present. Ravaged by arguments with the media off the track and mistakes on it, the 21-year-old had just 35 points to his name in the drivers standings – less than half the amount of teammate Daniel Ricciardo and only three more than Fernando Alonso – and low on confidence and optimism. The Dutchman also crashed with Lewis Hamilton in Bahrain and Sebastian Vettel in China, and suffered an embarrassing collision with Ricciardo in Baku. But, talented athletes always find a way, and Verstappen turned a corner after Monaco. He has been in stunning form since, with two wins in Austria and Mexico and 11 podiums in total. His displays in the second half of the season, in particular, have proven why he is considered the most exciting driver on the grid and the man who could potentially challenge Hamilton and Vettel in 2019. In fact, only Hamilton scored more points than him after the turn of the summer break – a fine achievement considering Red Bull are the third-fastest car on the grid. Verstappen promises there is much more to come. “The start of the season wasn’t easy but we managed to turn it around in a positive way. Two victories and a few podiums. 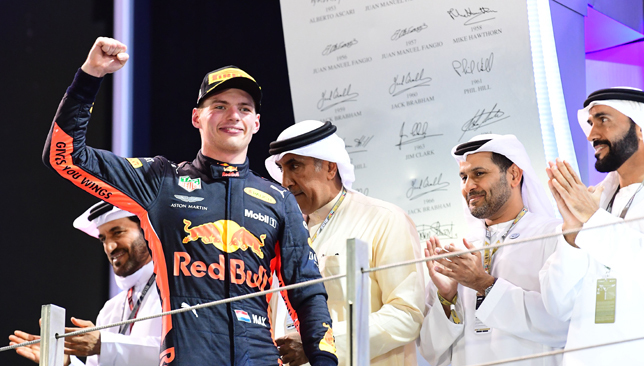 I definitely can’t complain with that,” says Verstappen speaking at the Red Bull Racing garage at Yas Marina Circuit on Sunday. “I was positively surprised with the car so that’s always good. The car seems to be working really well again, better than expected just like we experienced in Brazil. 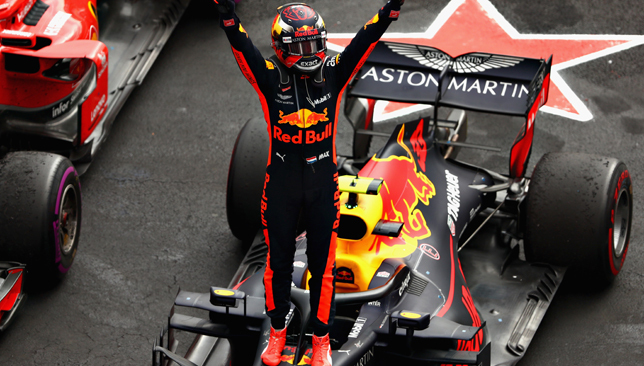 At just 21, Verstappen is mature beyond his years and his aggression, confidence and superb race craft shows he has all the right tools to be a superstar in the sport. Last October, any hopes of Mercedes or Ferrari signing this exhilarating talent were dashed when he penned a three-year deal until 2020, worth a reported $10 million a season. Never afraid to speak his mind, Verstappen has clocked up some interesting rants since his debut for Toro Rosso back in 2015 aged just 17. From his x-rated rants in Hungary and Italy to threatening to headbutt a journalist in Canada and forcibly shoving Esteban Ocon for costing him victory in Brazil, a sometimes ruthless Verstappen is not afraid to hide his emotions and vocalise what he thinks. “I think that’s how I am, even at Toro Rosso. They maybe don’t broadcast it as much because you’re not fighting for podiums and victories. I’ve always been like that in my life,” he said. “From my side, there was no reason to change that even if the team doesn’t like that. I think it’s brought me to where I am now. 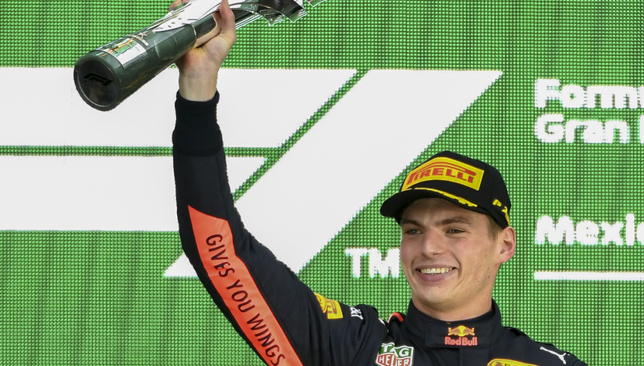 While Verstappen is someone who isn’t afraid to voice his emotions, he’s also equally adept at blocking out the noise of his potential achievements in the sport. “I don’t listen to (the hype) so much. It’s great people are so positive. What’s so important is that I always have to work on myself and the team, and they are the people that know you and could make a difference in achieving that goal,” he said. Personal glory is of course the name of the game from a driver’s point of view, and there is no doubt the Limburg man will scale new heights as the years progress. Red Bull may not be genuine championship contenders right now, but in Verstappen, they possess one of the most popular and talented drivers on the grid. 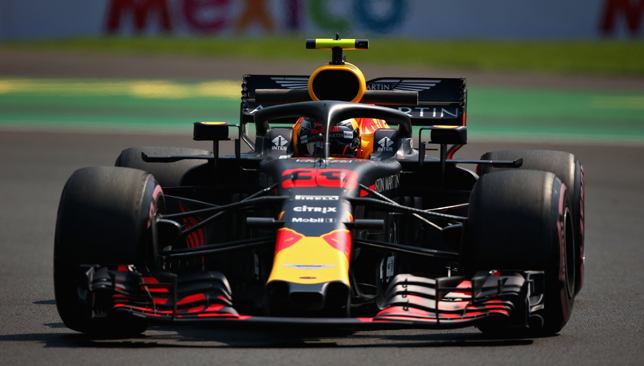 Third in the constructors’ championship, Verstappen can only be as good as his car, and if he wants to follow in Vettel’s footsteps and lift a first title for Red Bull since the German last won in 2013, they need to match his ability over the off-season. The four wins Red Bull have claimed this year show their potential, but nine retirements in total has led to an engine switch with Honda replacing Renault next season, a move which should propel them back into the title picture. “In F1 it all depends on the package you have. Hopefully we have it next year. As a team we want to go back to the winning ways and win championships. With Honda coming in, they have that target and hopefully we can achieve it soon,” he said. “Even if we have a winning package, for sure there will be weekends where maybe you make a mistake, or it can be a better weekend overall. Hopefully first we’ll have that package. F1 takes a back seat for now before roaring back into life in Melbourne next March. As it stands, 2019 will be the third time the calendar has been its longest, with a total of 21 races. The sport’s owners Liberty Media, in fact, want to expand further and there has even been plans for a race at Zandvoort in Holland in the future, on top of the recent announcement of a race in Vietnam in 2020. However, Verstappen expressed concerns over the expansion of the F1 calendar and does not find the prospect of a longer season attractive. “I think 21 is enough. It’s not for the drivers but for mechanics too. They are travelling even more for us. If you start going to 24 and 25, then you may have as well file for a divorce straight away because they are not home as much,” he said.